Discover an elegant underfoot of habitable spaces. Stigmatised on the one hand, celebrated on the other. The use of polished concrete flooring receives diverse reactions from people. Some folks think it gives a factory or prison-like feel at home. Others find it aesthetically pleasing, versatile, and beneficial to their daily lives. At Superdraft, we believe that this hard stuff has a competitive advantage over other underfoot materials. 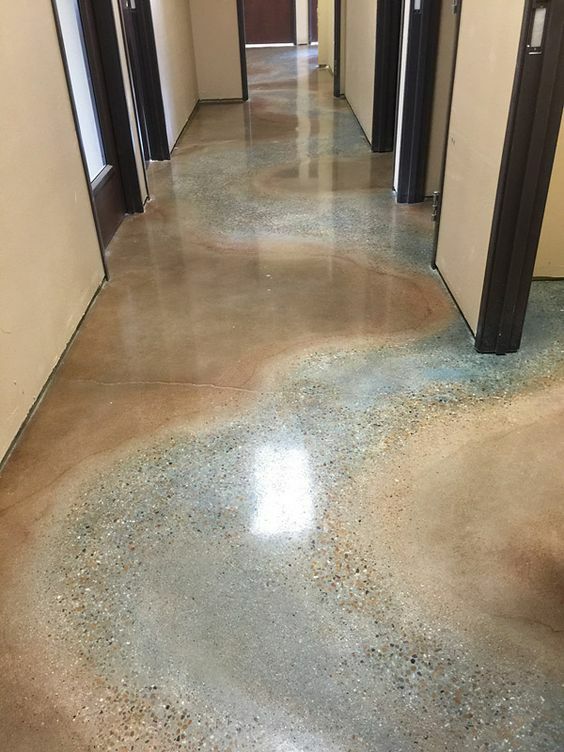 Hold on to your seats because we’re going to show you how beautiful polished concrete is. Who knows? This might be your new favourite element at home. Polish the surface of the concrete slab (the foundation of the house) and you have no need to use new materials. Sand, polish, and seal the concrete until it looks elegant enough for a habitable space. See? Concrete flooring is not just for basements and garages! Superdraft Tip: Use furniture pieces, rugs, and other decor items that grab people’s attention. Concrete is not as vulnerable to damage as solid timber, laminates, and natural stone flooring. You only need soap and water to clean concrete floors. Dust mop the floor every day using a microfiber pad to keep dirt, dust, and allergens off the floor. 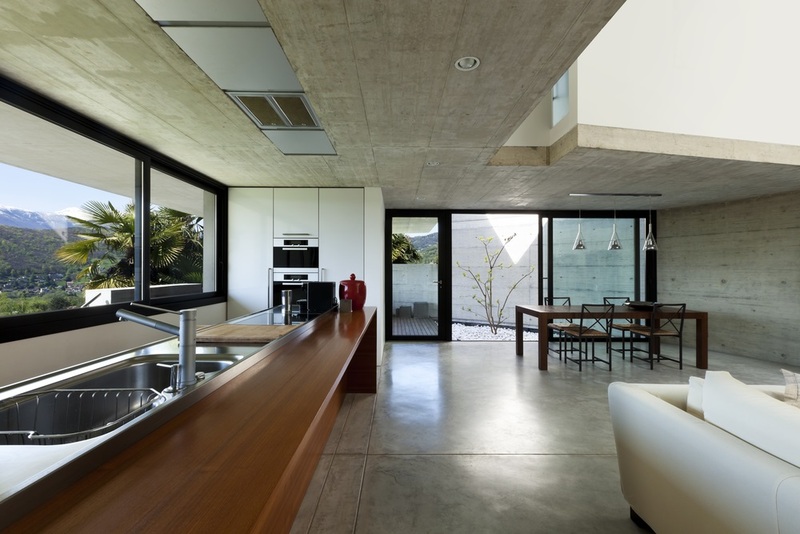 Concrete floors are low-maintenance but it can last for more than a hundred years! 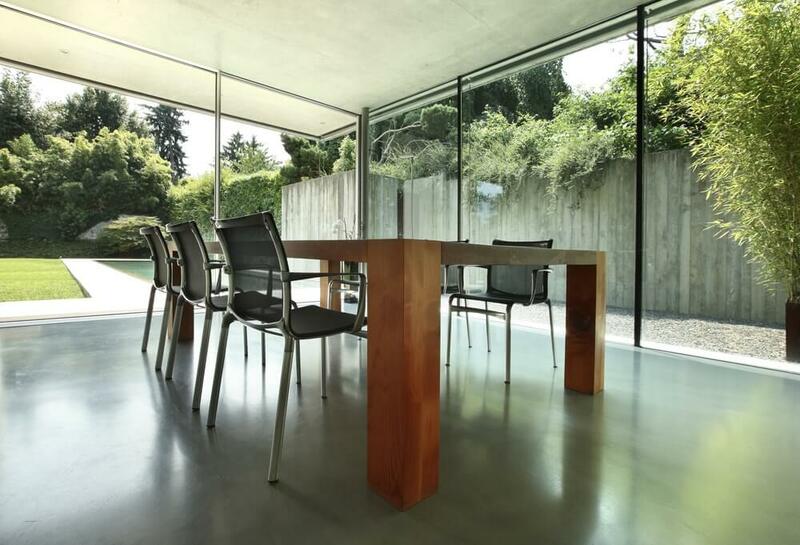 Polished concrete flooring is fit for homeowners who their spaces to be unique. It’s a versatile material to work with. For example, polish the concrete until it’s as smooth as marble or granite. The process will result in a floor with a brilliant and mirror-like finish. It’s a great alternative if you can’t afford expensive tiles. Best part? You don’t need a high-gloss coating to achieve this look. Glossy concrete floors have reflective surfaces, which saves energy by reducing the use of light fixtures during the day. You can also stain concrete floors to create a finish that’s complementary to your home’s overall architecture. Builders can give you concrete floors of different colours and design. 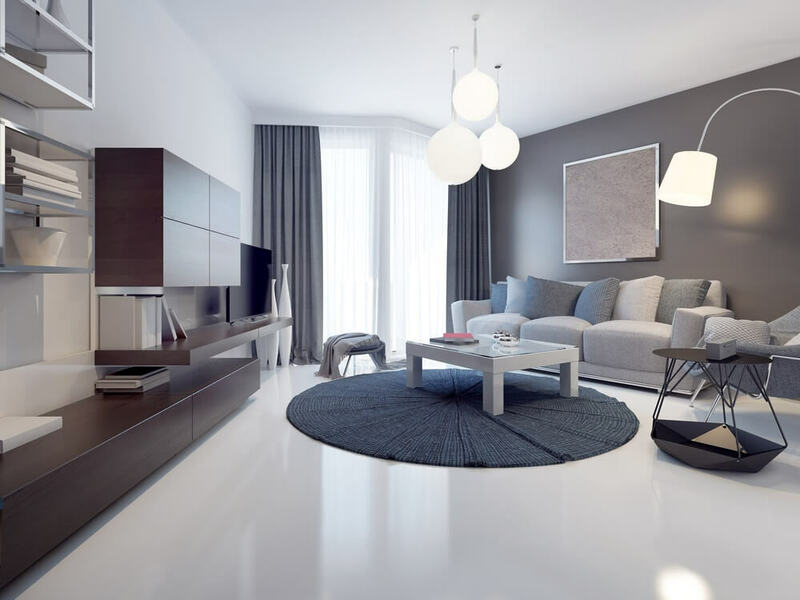 Below is a living room with a white, polished concrete flooring. Colour possibilities are beyond the homeowner’s imagination. The more complicated the design is, the more it becomes expensive. Builders have application techniques which give the floor some texture and depth. They can etch it to make it look like a tile, stamp it to make it look like wood or natural stone, or give it an elegant, faux marble effect finish. Polished concrete also looks nice with 3D wallpapers or actual stone veneer walls. 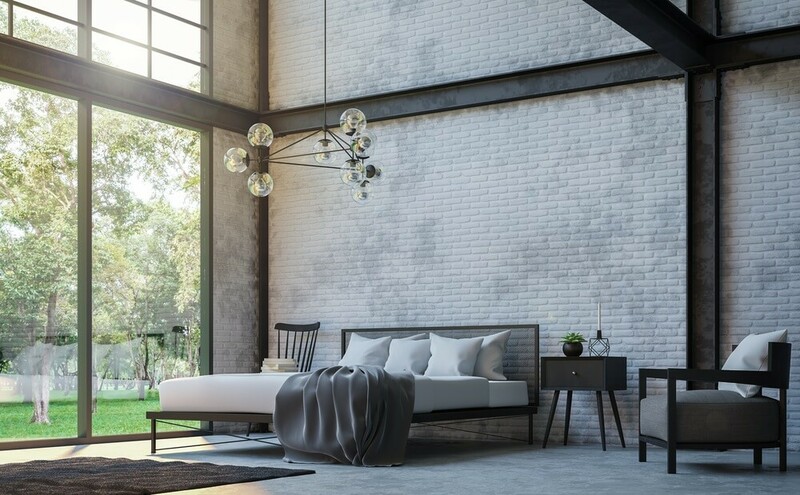 It accentuates the wall’s texture and industrial or rustic appeal. 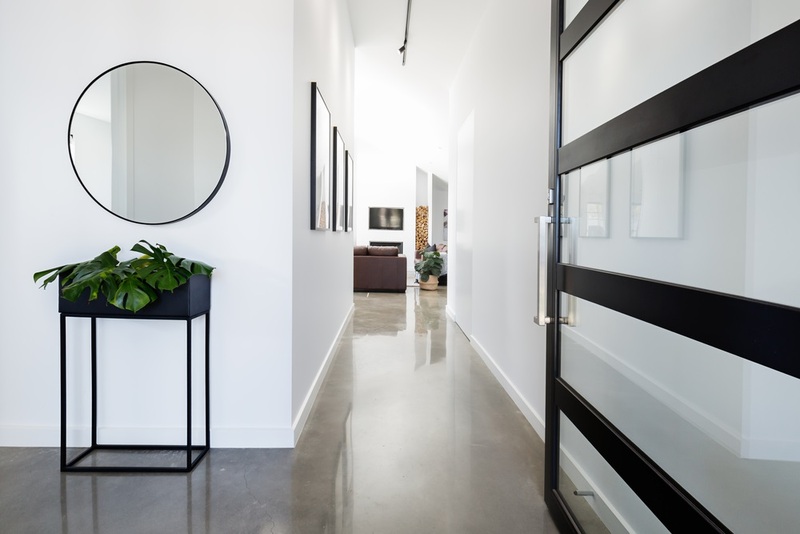 Polished concrete flooring is ideal for industrial styled spaces too. Polishing is a multi-step process. You must choose the level of sheen from stain to high-gloss and make sure that you can meet their floor’s maintenance and aesthetic requirements. Polishing a concrete slab to give it a satin sheen costs approximately $130 per square metre. High-gloss with complex details will run around $120 to $125 per square metre (as of January 2018). The price always varies depending on the size of the area and the amount of work needed to be done. Work with Superdraft Perth’s building designers.